in pencil. Red Petrel stamp, lower right. Origins of Art stamp verso. 4 5/8 x 7 7/8 in. ; 11.75 x 20 cm. 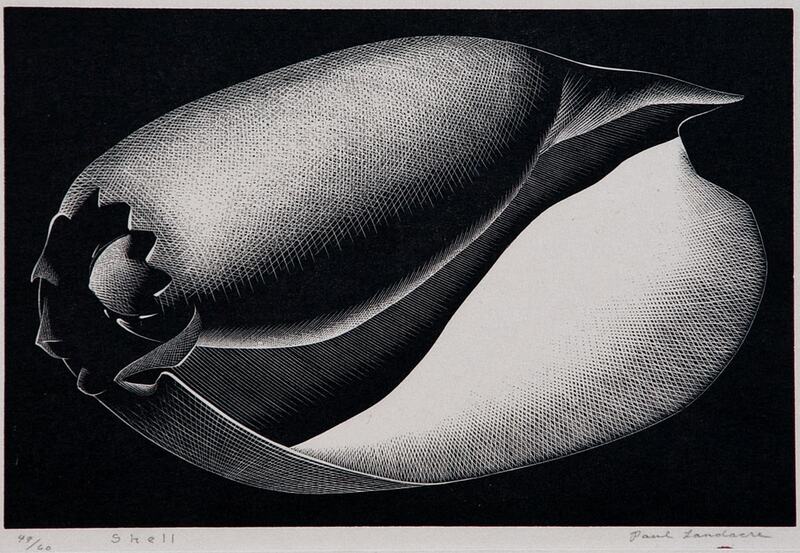 Shell is an exceptional example of Landacre’s technical virtuosity in wood engraving. The organic, sensual forms and dramatic contrast of dark and light attest to the mutual influence of the photographer Edward Weston and the painter Henrietta Shore, all three part of an artistic and literary circle in Los Angeles in the 1930s.